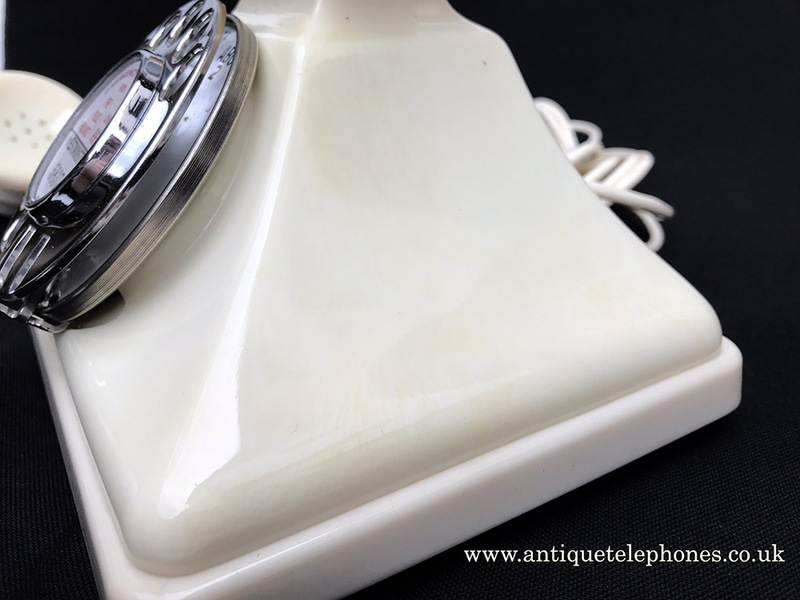 This is a lovely original GPO telephone dated 1938 and is now fully working perfectly to both dial out and receive. This is made from an acrylic plastic "Diakon" plastic along with "Urea Formaldehyde" Bakelite type thermosetting material. This was a crossover period where two different materials were being used. 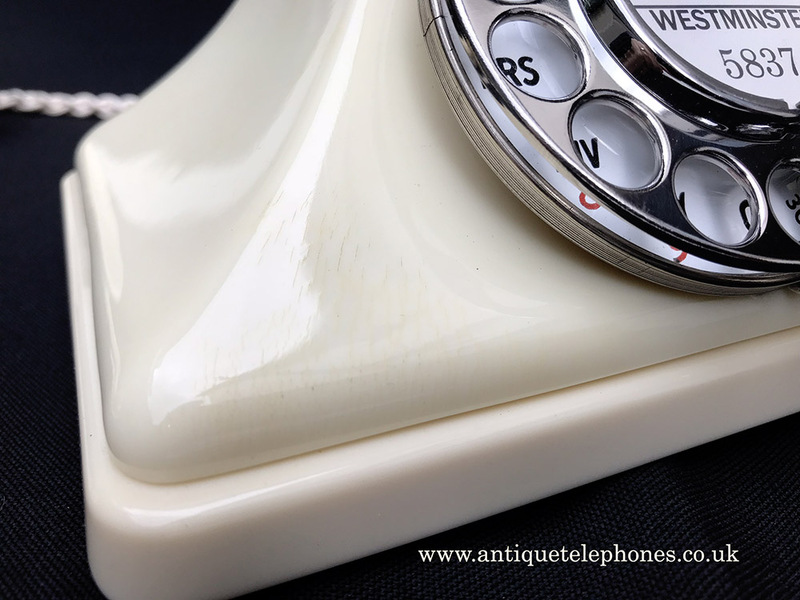 The base is a perfect example of the Bakelite type and the rest of the plastic parts are "Diakon". 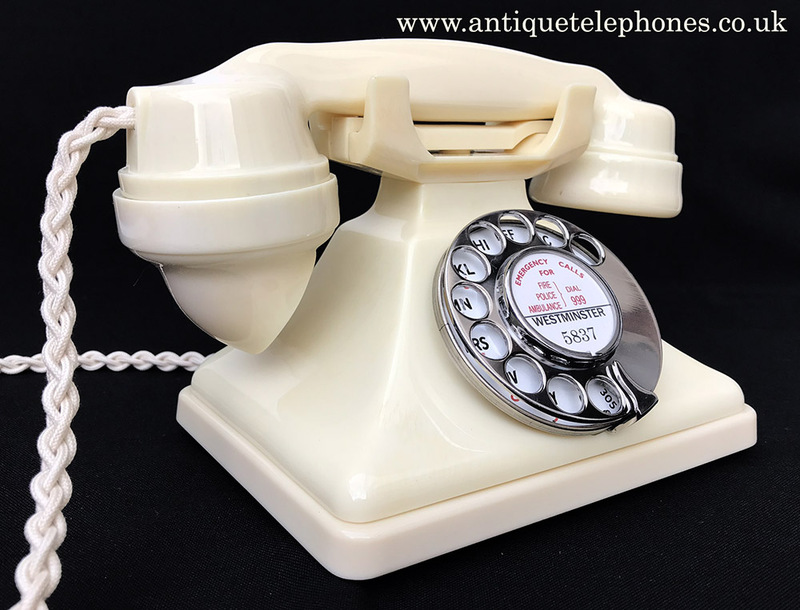 This telephone has been totally stripped down and all the parts have been cleaned polished and then re assembled. 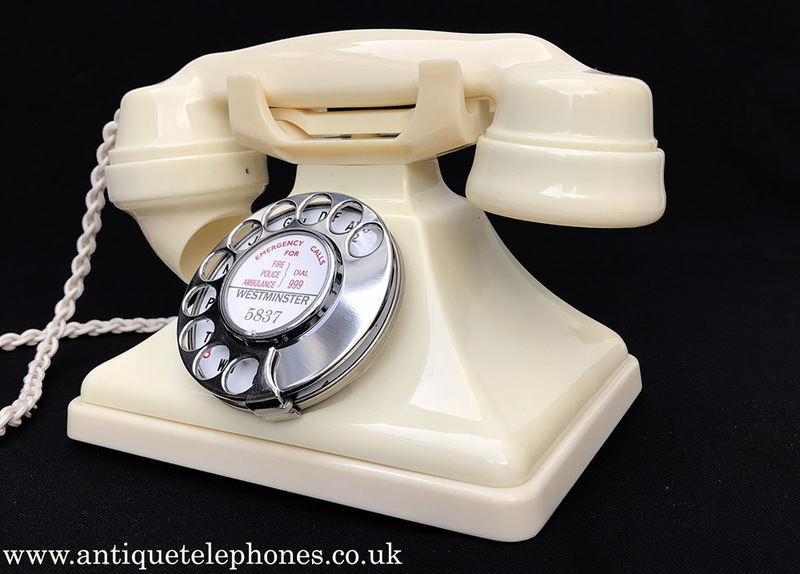 This telephone has had no parts added other than stated and is just as I got it in. As you can see it looks fabulous but on close inspection you will find it has some imperfections in the rather unstable material "Diakon". I have shown some close up pictures to show some crazing in the plastic parts. The cradle has been repaired to the rear as shown and had some small chips removed and has had no paint added at all. 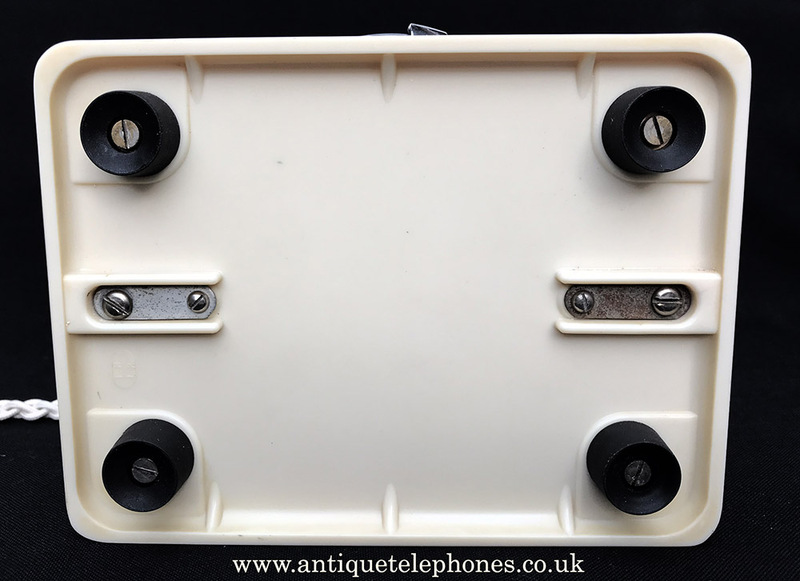 The internals are original other than a small bell that has been fitted. I had to remove the lead weight in the base to fit this. 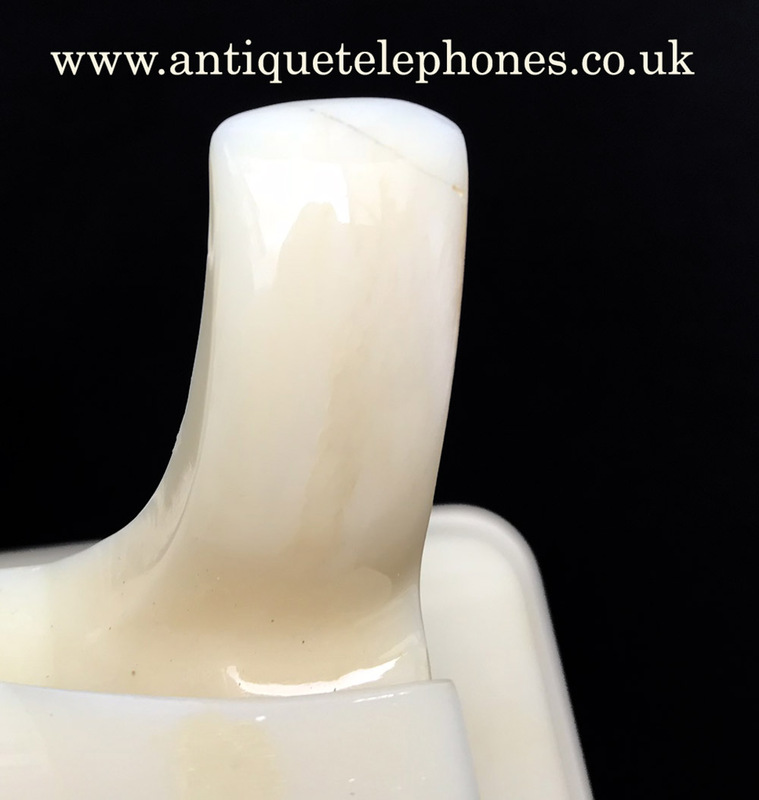 I have fitted a very best quality hand plaited braided handset cord and GPO specification round plastic ivory line in cord with a UK telephone plug socket. 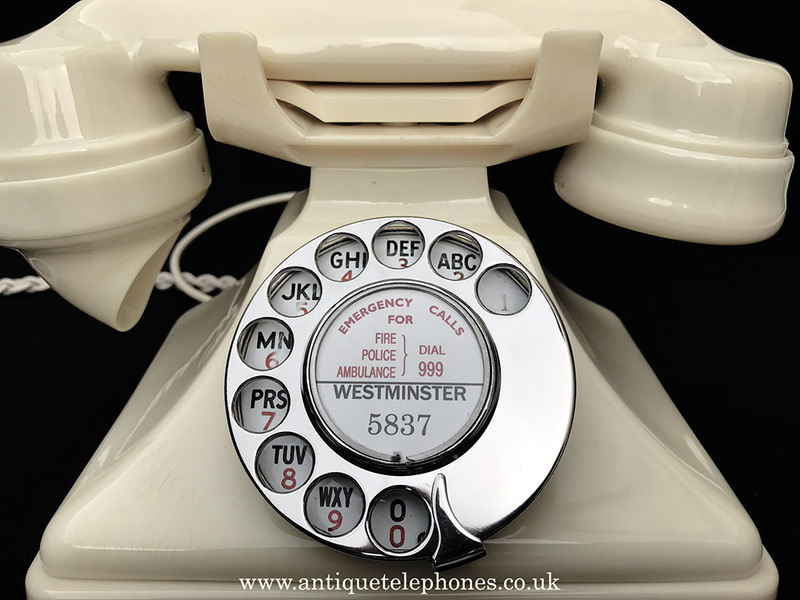 It has a genuine GPO No12 dial with an enamel alpha numeric dial face. As you can see it has some fading on the numbers and letters but still very usable. 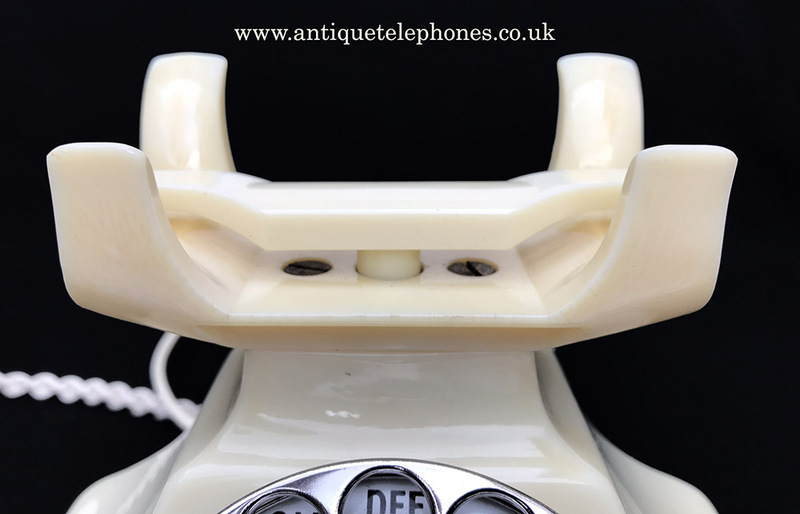 This is a beautiful original telephone and although not perfect is original and a very good value for money option. I have added the choice to replace the cradle or the dial face as options in the check out if that's what you want. 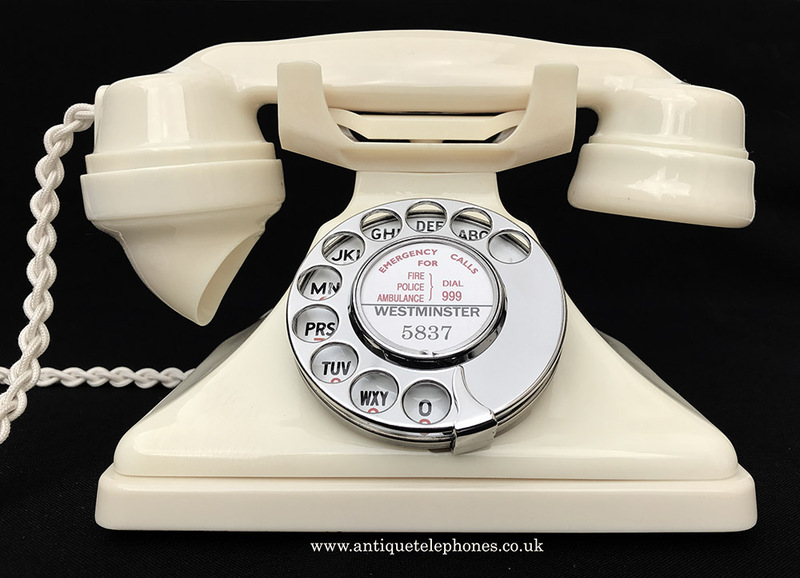 I can fit a dial label with your information at no extra charge.